Prominent & Leading Manufacturer from Greater Noida, we offer saline stand ss and saline stand ms. The best quality of Saline Stand SS is offered by us to customers in bulk. 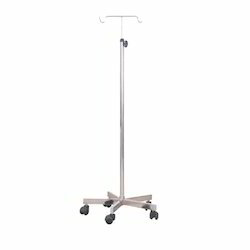 The offered Saline Stand SS are extensively used to hanging various instruments such as blood beg. Further, the offered products are available in the market in bulk and we manufactured these products by using high grade material. Matching to the huge market demands, we are involved in offering best quality of Saline Stand MS. 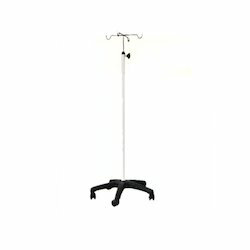 This Saline Stand MS is available in the market in bulk at most reasonable rates. The offered Saline Stand MS is extensively used in designing and developing of these stands impart and in many other suitable applications.